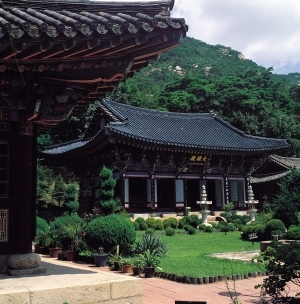 The Temple Stay Program is to give a chance to experience Korean Buddhist traditional culture that well preserved cultural property and practice of Seon meditation. This basic 24-hour overnight program provides participants to relax, reflect and revitalize themselves so this experience could make them to be positive and to elevate their life. 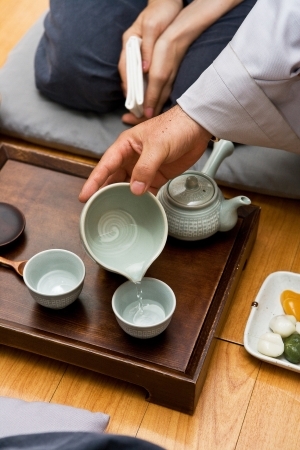 Templestays offer various kinds of practicing methods such as Yebul (ceremonial service involving chanting), Chamseon(Zen meditation), Dado (tea ceremony) and Baru gongyang(Buddhist formal monastic meal). 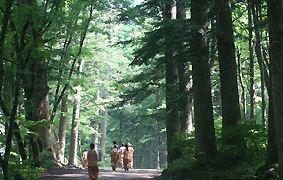 Participants can find their 'true self' amongst the harmony of nature while staying at a temple. Baru gongyang is a unique and special way of eating in Korean temples. At this communal meal practice the meal is eaten in total silence, and not a single grain of rice is wasted. In Buddhism, prostration is more than a spiritual practice to develop a humble mind. Yebul is a ceremonial service to praise Buddha. This solemn ceremonial service is held 3 times a day; in the morning, midday and evening helping to clear one’s mind.